This was one of the two items I got during my Makeup No Buy, the other being an elf Liquid Eyeliner. I had points to spend and I was picking up stuff for my sister’s birthday, so I thought, why not? 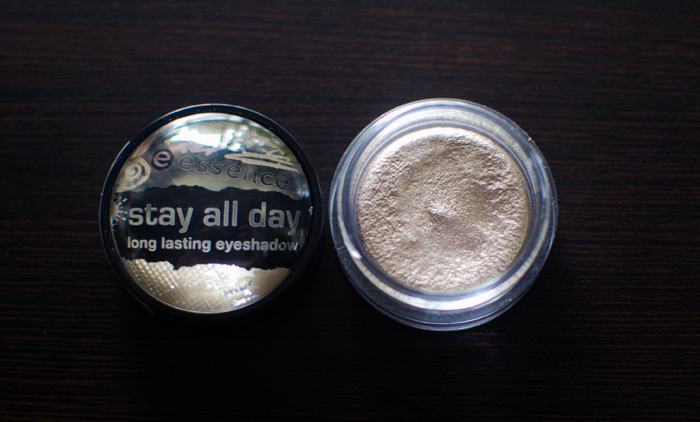 I’ve been meaning to try something from this brand, and I can’t say ‘no’ to cream eyeshadow. 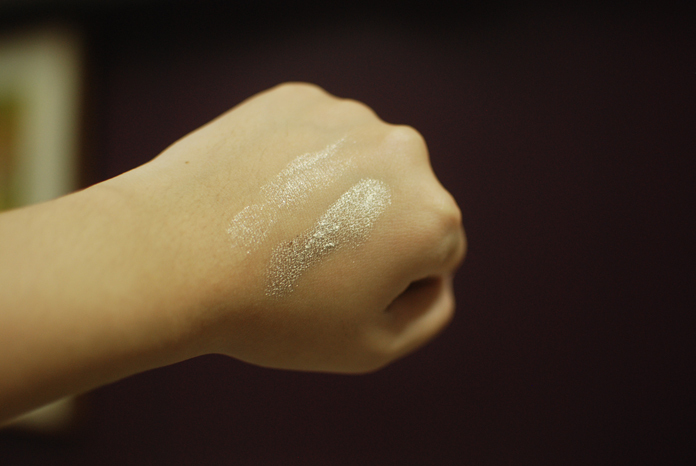 The shade I got, Glammy Goes To…, is a cool pale gold, almost like a champagne. The texture is a bit stiff, similar to the Stila Smudgepot, but this is actually a bit more workable because the texture is better. It still has a tendency to make eyelids crepe-y if you pack on too much, but you can just use it as a light wash of color. I find that unlike MAC paint pots, though, I can’t wear these alone. Perhaps it’s the color, which is extremely light, but I suspect it’s the texture as well. It’s not very blendable when it sets, and it does set fairly quickly. Here, I’m wearing it all over the lid, with MAC Handwritten in the outer corner and MAC Quarry over top of the inner two-thirds of the lid to tone down the shine. It’s a great way to play around with cream eyeshadows if you’re on a budget, though I should say that it’s really not the best texture and consistency out there. I probably won’t buy any more of these in the future, but I think it’s also because I have a lot more cream shadows to use up. essence is cruelty-free. It is available in SM Department Stores all over the Philippines. I’ve been curious about these cream eyeshadows from Essence. Thanks for the review. I’ll probably skip this and stick to my Maybelline Colot Tattoos. Can’t say the same for the rest of the line. 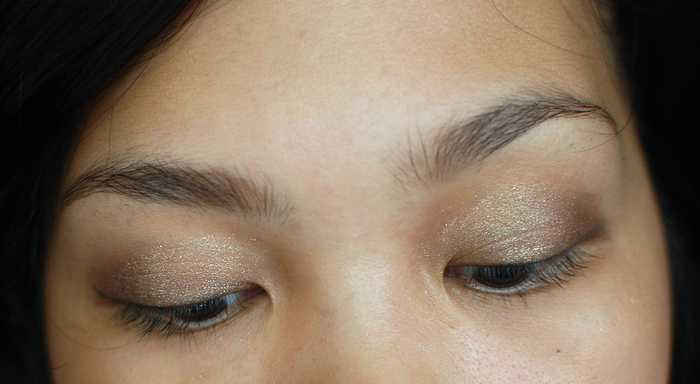 I think the gritty/unevenness is due to the hyper shimmer. Have you tried MAC paint Pots and the Benefit ones? They’re my fave textures. I think they’re not making them anymore though, at least not as standard range. Hey, just in case you might be a production code junkie like me (I always make sure makeup I buy hasn’t gone over 30 month shelf life period), Essence marks their products with the batch code where last two letters are the year it was made in (and I have a guess that first two are the week it was made in). Usually the codes look something like this “EF.AB”. So the last two letters would be A0 – 2010, AA – 2011, AB – 2012, AC – 2013 and so on. Ooh, thanks! I had no idea, but that is really cool. 😀 I wonder if the ones they’re selling here are old stock, haha. Same here, don’t worry. 🙂 I find the texture too dry as well.